Bloomsbury USA Childrens, 9781619636194, 272pp. Many years ago a slighted fairy placed a curse on a beautiful young princess—a curse that caused her and all her female descendants to turn into mean, ugly witches if they ever touched a flower after turning sixteen. 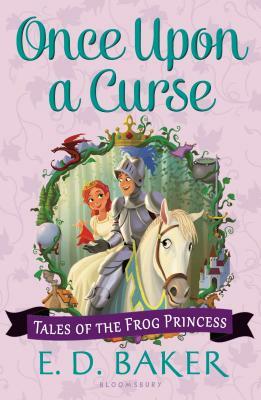 Now, Princess Emma, who is about to turn sixteen herself, is determined to break the spell once and for all. Emma travels back in time to the day the curse was placed on her ancestor in the hope of preventing the curse from being cast. Unfortunately she isn't successful in her efforts, but she does learn how to break it. Armed with this knowledge, Emma returns to her own time full of hope. But disaster ensues and Emma is about to give up completely—until true love shows itself in the most unexpected place of all.